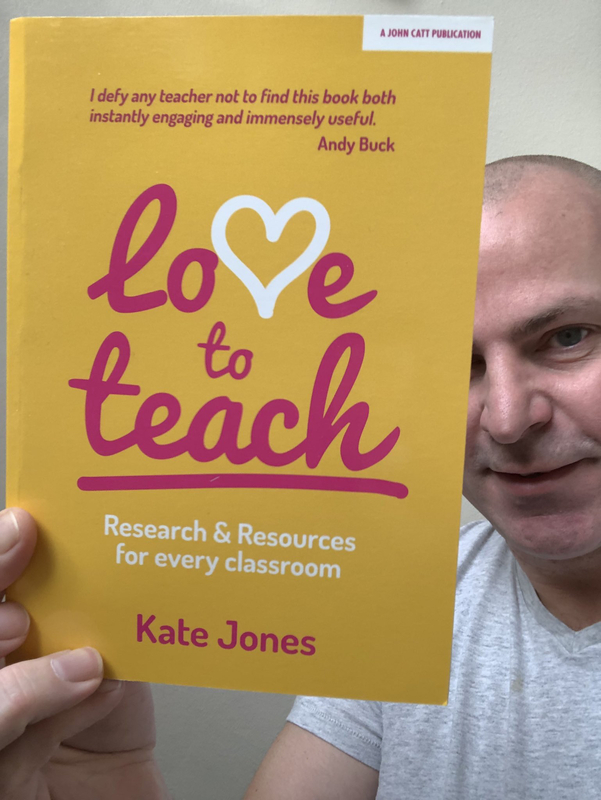 I have been absolutely delighted with the feedback so far about my book as I know educators from the UK, UAE, USA, Ireland, Spain, Portugal and Hong Kong that have read my book so far! Through the power of Twitter it has become much easier to engage and contact authors. I have done so as a reader tweeting some of my favourite authors including Matt Haig, Dan Snow and educational authors such as Alex Quigley, Mary Myatt, Andy Buck and many, many more. Twitter has also been great for me now as a published author as people have contacted me about my book and sent me photos of my book – I love this! I’m so happy that I can discuss my book with teachers that are reading it and find out their feedback as they read the book. It is a huge deal for me writing and publishing a book, something at one point in my career I would never have considered doing, so I am naturally very excited about it. I have been asked a lot of questions about my book and some of the questions I can’t answer by simply saying – just read the book. I’m more than happy to answer any questions so below are the questions people have asked me face to face or via Twitter, LinkedIn or Instagram. I have recently been interviewed for Teach Middle East Magazine so I have also made sure the questions I selected were different to the questions asked in that interview. You can read the latest edition of Teach Middle East Magazine and my interview online here. I can completely understand why teachers would ask me that question! I am a full-time classroom teacher and middle leader, with my History Coordinator role, in addition to being a Governor at a different school in Abu Dhabi too. I teach 22 lessons a week including key stages three, four and five. I’ll be honest, it wasn’t easy. I signed the contract with John Catt Education Ltd in June 2017 and my book was published November 30th 2018. During that period there were months when I didn’t spend any time on my book because I was marking essays or exam papers, writing reports or too busy doing the general things that take up a teachers time. My teaching role always came first, which the team at John Catt fully understood. I would often spend intense periods of time working on my book, for example, the Easter/Spring break and the summer holidays of 2018. The majority of the reading and research included in my book was something that I had been undertaking for the last five years (not with the focus to include in a book but instead for my own professional development). The resources included in my book were resources I had created throughout my eight-year career so writing the book involved linking it together with structure and making it flow. Perhaps, if I was teaching in the UK I may not have coped so well. It is very important to have the support from colleagues and senior leadership but both schools I have worked at have always been incredibly supportive and encouraging. 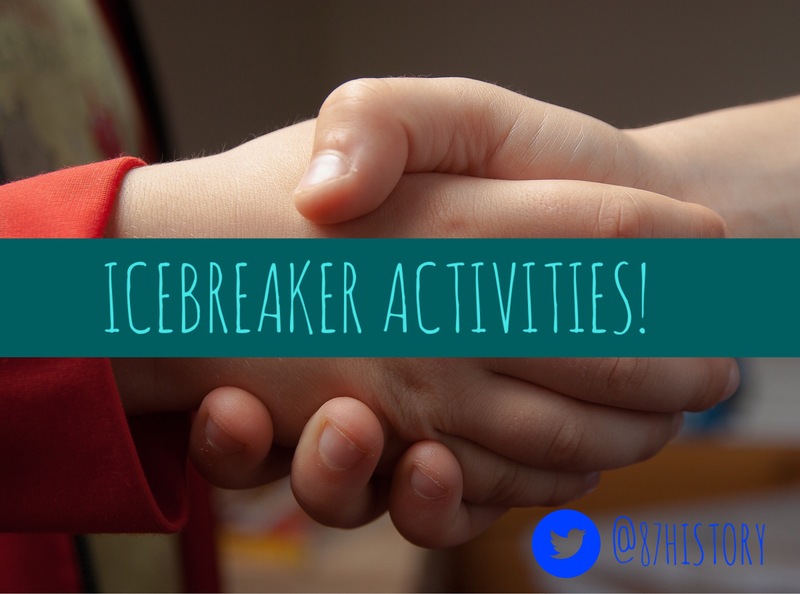 I’m not the only teacher to write a book whilst still in the classroom as authors Mark Enser, Andy Tharby, Victoria Hewitt and others have demonstrated. I am sure all teachers that are authors will agree that it is very challenging but also incredibly rewarding and enjoyable. How have you managed to read so many educational books? Again, I can understand this question as it once again links to time. As I stated above I have been reading educational books for over five years – I regretfully didn’t read many educational books in the first few years of my career. I make notes every time I read a book (some books I have read more than once but only a few exceptions). I write reviews on this site and whilst they aren’t my most popular blog posts the reviews help me to reflect on the book; what I enjoyed most and what I will take away from that book to support my own professional development. My notes from the reviews were so useful it meant I didn’t have to keep referring or rereading books as I had made notes, wrote down particular quotes and cited the page number which helped a lot with my footnotes. I do love reading, not just books about education obviously. I feel now as an adult I can fully embrace my love of reading because as a teenager my friends at the time didn’t enjoy reading (or claimed they didn’t) so I played down how much I loved reading. I have other hobbies other than reading but it something I enjoy both personally and professionally. 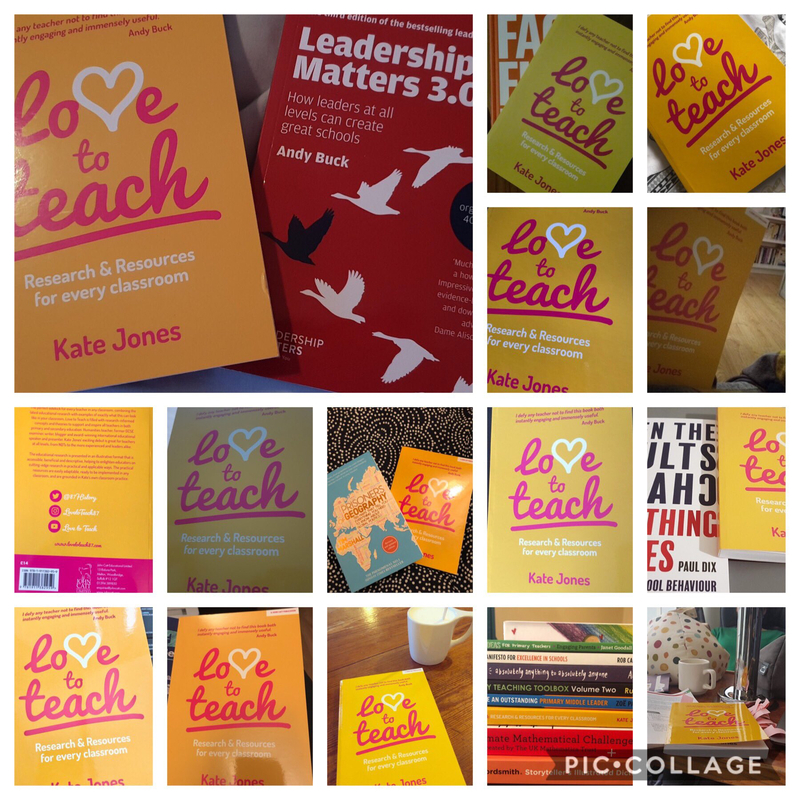 Reading has had a very positive impact on my teaching practice, well-being and career so it is wonderful to be able to write about and share the books that have influenced and inspired me. Is your book about why you love to teach? Not really no. This is a good question to address a misconception. 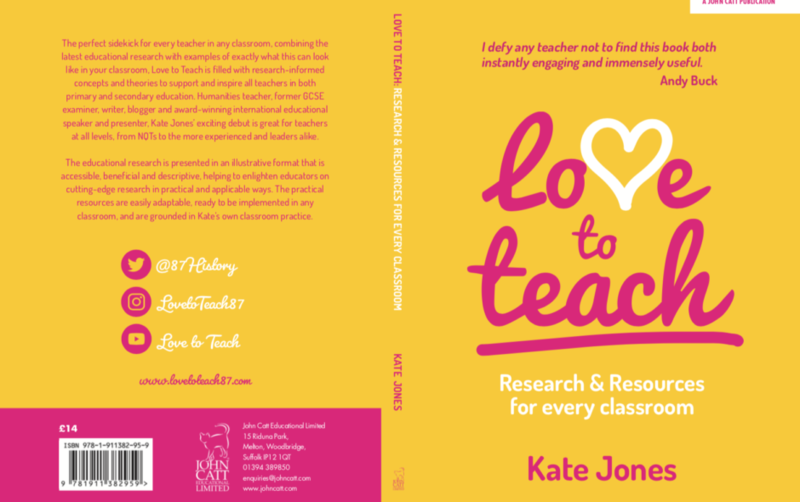 I hope my book does show that I love to teach and explore different reasons why teaching is such a wonderful job but the second part of the title – Research and Resources for every classroom – is a better reflection of what my book is about. 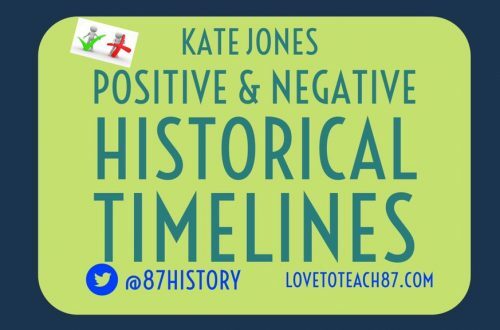 When I first joined Twitter in 2015 I initially set up an anonymous account with a Twitter handle @87history, a cartoon profile picture and the name I used was LoveToTeach. I didn’t give much thought to this I just picked the title because I do love to teach. I told my Headteacher about my Twitter account and how useful it was and she suggested I should include my name and engage with others so I did. 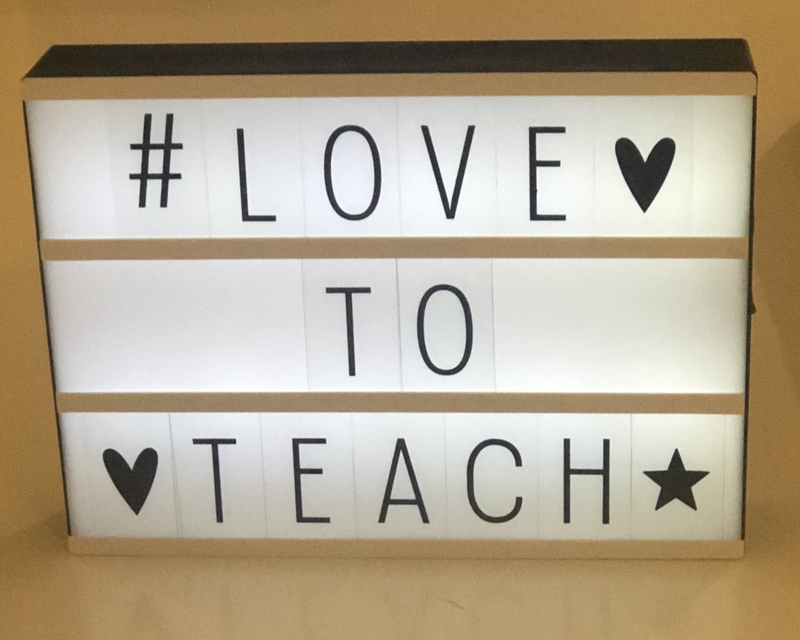 Love To Teach did stay on my profile and when I set up my own website I decided to use the site name lovetoteach87.com My Instagram account is called LoveToTeach87 and my beautiful business cards have Love To Teach on one side and my information on the other. Branding wasn’t something I considered or thought about although it can be argued I have my branded my material with Love To Teach so it felt natural to title my book with that. 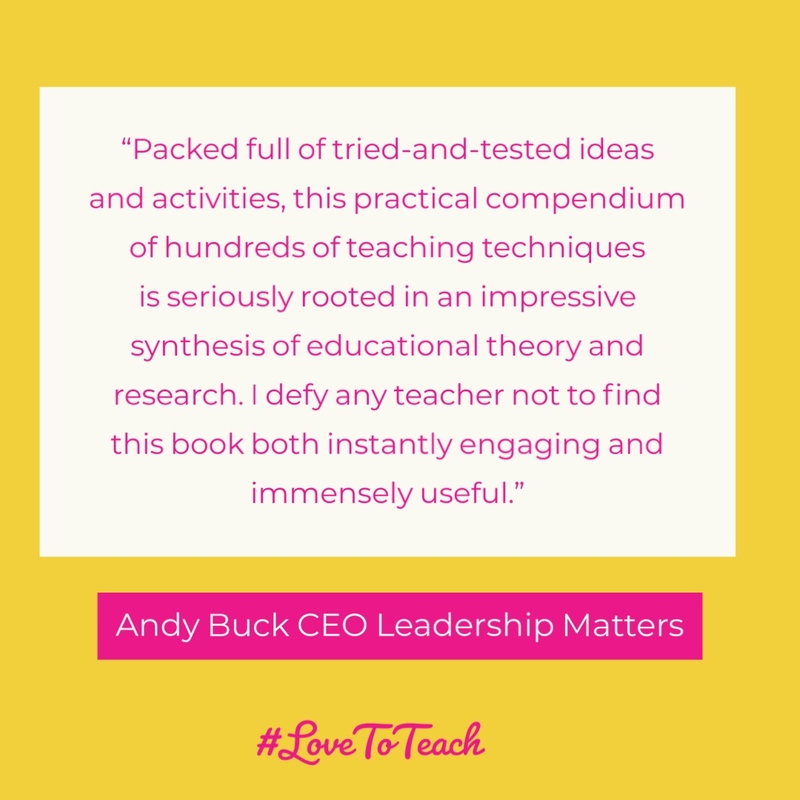 My book is about teaching and learning in the classroom – it combines a discussion of educational research with a collection of resources I have created or case studies that include other teachers sharing excellent resources and ideas. Author selfie with my book! Are you nervous about negative feedback? My friend asked me this – she said she would be too scared of the keyboard warriors on the Amazon reviews page! This was something that did bother me at times as I had moments of doubt when writing my book but in the end, after a long drafting and editing process, I was very happy with my book. I am happy with it and I look forward to all feedback, if the feedback is negative ( I haven’t had negative feedback yet but it is early days) I will try to engage with it and learn from it. If the feedback is rude, personal or nasty (which I doubt it will be but I have read some scathing Amazon reviews of other educators books) then I will just ignore it. Ron Berger promotes feedback that is kind, specific and helpful and that is feedback that I can work with. What’s your favourite chapter in your book? 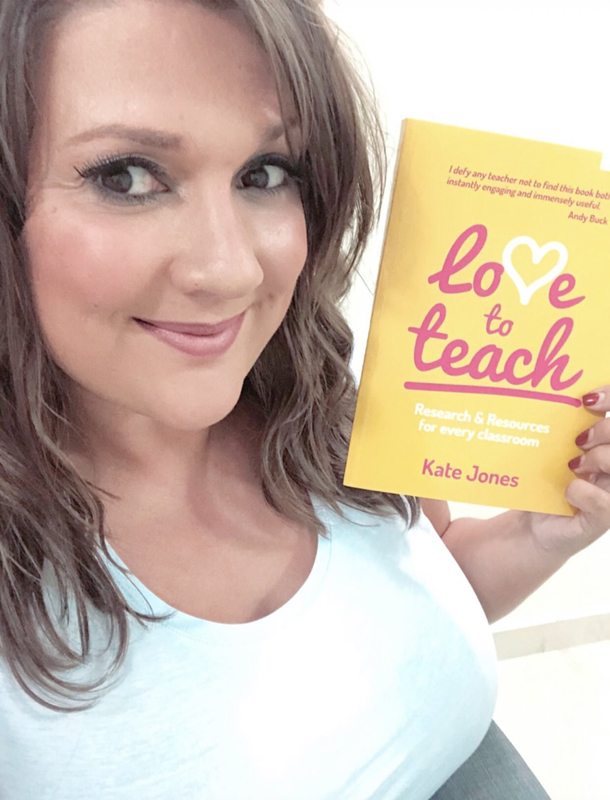 Based on the feedback I have had so far people have really enjoyed the CPD chapter because in addition to traditional methods of CPD I write about the power of social media, blogging, TeachMeet events and other strategies for purposeful professional development. The technology chapter has been well received too because it is very balanced realising that technology isn’t the answer to all of the problems in education but it can be used for good in the classroom and you don’t need to be an edtech guru to do so. Robin Macpherson wrote the foreword to my book and he commented that he particularly enjoyed chapter eight about pastoral provision as he describes it as a ‘welcome addition to the field of educational books‘. I don’t have a favourite chapter but I’m happy with all of the chapters that I decided to include, they all made the cut for a reason. Ross Morrison McGill aka @Teachertoolkit enjoying a copy of my book! What was it like to work with John Catt Education Ltd? This is an interesting question that a lot of educators have asked me – people who are considering writing a book or are just generally interested as to how the process works. I cannot fault the team John Catt and only praise their efforts, dedication and support. The team are amazing. Alex Sharrat was my main contact throughout and he would regularly check in with me staying in touch but without the pressure. I haven’t met Alex yet but I really enjoyed working with him. I was then introduced to my editor Meena Ameen and she was fabulous to work with. She works at a very fast pace and is very thorough. Meena has an excellent and observant eye, perfect for her role as editor. I couldn’t believe how she was able to transform my book whilst keeping all of my content. The original images were photos taken in my classroom on my iPhone so the quality was quite poor. It was Meena that suggested we used graphics and this made a very big difference visually, the book appeared so much more professional and the graphics were consistent. Meena would continually send me versions to check I was happy. I think we worked really well together. If I do write another book I would want Meena to be my editor, she was great. Before I sent my book to Meena other people had proofread chapters for me and their help was also so valuable I have thanked them in my book in the acknowledgements. I am really happy with the book cover, the colours and design. I am sure writing any book can be stressful at times but working with John Catt helped reduced that stress. There are so many wonderful John Catt authors – Andy Buck, Mary Myatt, Jamie Thom, Tom Sherrington, Robin Macpherson, Carl Hendrick plus more! It is a privilege to now be part of the John Catt Team. Who inspired or helped you to write a book? I was very reluctant to write a book, I was approached in 2015 by a publisher but it was not the right time for me to consider writing a book and I had very little experience writing other than academic essays as a student. Mark Anderson is a former senior leader and now an education consultant specialising in teaching, learning, leadership and edtech. One of the first blog posts I wrote was featured on his website ictevangelist.com. Mark has always been a very positive influence and source of support as he was the person who suggested I set up a blog. I was reluctant to set up a blog but once I did I was really glad. I thoroughly enjoy blogging and it helps me to become a more reflective practitioner. Mark then later gently encouraged me to consider writing a book and it was Mark that introduced me to Alex Sharrat. Many thanks to Mark. My pupils also inspired me to write a book because essentially the stories and examples I share in my book are from my classroom over the years. My parents always say they are proud of me and my sisters regardless of what we do but I knew writing a book would make them very happy. My Mum now carries a copy of Love To Teach in her handbag telling anyone and everyone that her daughter has written a book! My Mum isn’t a teacher, she works in retail, but she is enjoying reading my book and says she is learning a lot too! What advice would you offer to a teacher that wants to write a book? I have met a lot of teachers that have said they want to write a book but they’re not sure what to write it about. My suggestion would be to read educational books and if you don’t know already your area of expertise or interest then discover that. I would never write a book about data in schools. I’m not sure if there are books about how to use data in schools but there are experts who could write a book on it and no doubt others would find it useful. I would read a book about how data can be used to enhance teaching, learning and professional development as this is an area I am interested in but I knew what I wanted to write about, writing about areas of expertise and interest made writing my book very enjoyable. My book is mainly about teaching and learning (with a chapter dedicated to pastoral provision) because this is an area I have been fascinated with throughout my career. 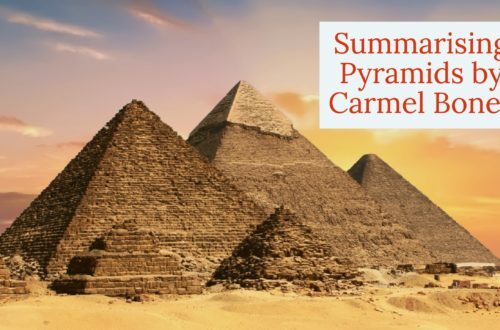 I felt confident writing about this topic sharing my knowledge and experiences in addition to researching and writing about something I am really interested in. Read, read and read. Focus on your specialism – whether that is your subject, assessment, well-being, leadership or something else linked to education. My book is aimed at Primary and Secondary teachers, from NQTs, classroom teachers, middle leaders and SLT. I have taught Years 5 to Year 13 and every year group in between! History is my specialism but I have also taught RE, geography, social studies, politics, Welsh second language, PSHE and drama so it is cross-curricular. Regardless of the phase or subject taught I think this book will be helpful, useful and hopefully interesting to all teachers. 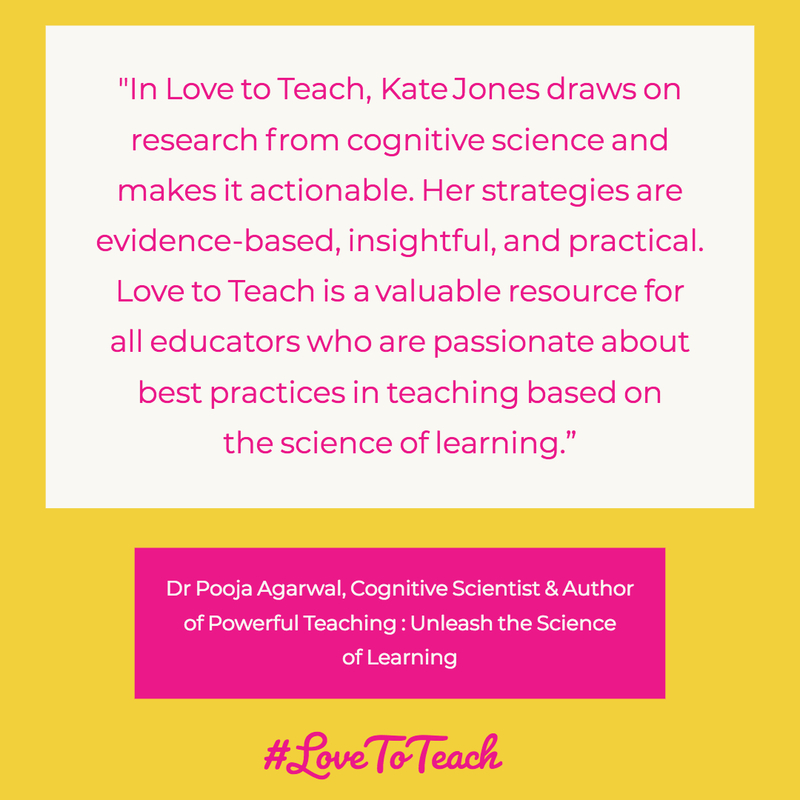 You can order Love To Teach: Research and Resources for every classroom here. If you have any feedback about the book I would be delighted to discuss this with your further – you can get in touch via the contact page or send me a tweet @87history. You can also write a review on the Amazon page too.